This bar (and pub as well) is perfect choice for all beer lovers around the world! Samo Pivo (translation: Only the Beer) is located in the center of Belgrade. 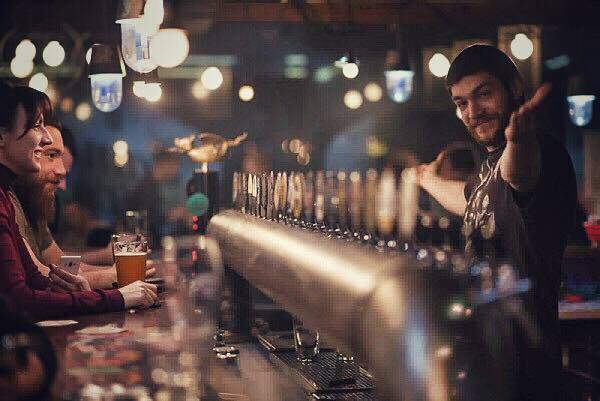 Situated in an intimate space, with unpretentious but originally designed interior, which is perfect for enjoying your favorite beers. The bar is offering 7 types of beers, including a great new producer on the domestic scene – brewery Cabinet. Also you can find the more recognizable Grimbergen (Belgium Blonde Ale) and refined wheat beer Erdinger. – Many German beers are very popular in our market, including a wide range of well-known brewery Paulaner, Krombacher , Radeberger, Schöfferhofer, Augustiner, DAB Dortmunder and many more. Check the full list of lounge bars in Belgrade.